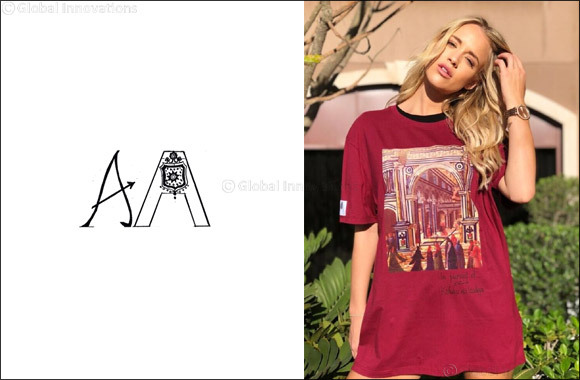 Saudi Arabia, April 11, 2019: Introducing Anonymous, a new streetwear label from Saudi Arabia. Celebrating our rich diversity and what binds us together, Anonymous resonates with unconditional love. It is for the mystics, poets, lovers and dreamers. For all those who believe. The unisex streetwear label debuts the first collection, which features a range of unisex tees. The 100% cotton tees are designed in Saudi Arabia and feature an eclectic combination of hand-painted motifs, graphics and calligraphy. Inspired by the mystique of underlying unity in cultural diversity, you will see Japanese, Sanskrit and Arabic words in each piece showcasing how they beautifully come together and complement each other yet retain their own unique identity. The design technique behind each piece is a blend of beautiful languages, poetry and mysticism. Each piece reflects a certain aspect of the brand that either uses a unique graphic idea merged with fabric painting techniques that have been the predominant force in the first series of production. To understand the efficacy of language and the paramount power of words that has connected generations since the beginning of time, the brands first edition hopes to have consumers take pride in their native languages as well as spark an interest to explore other languages too. From the idea, philosophy, all the way to its artistic execution, every step has been crucial to ensure each piece is exclusive and personal. That is in fact the reason the brand only produces a limited number of each design to sell across the world. Anonymous is for everyone because we believe each person deep inside is an artist, a dreamer and has the potential to achieve his or her dreams. Soaring high, these free-souls wear their hearts on their sleeves and give in to nothing but love.